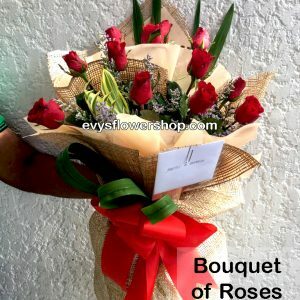 Evy’s Flowers is an online flower shop and flower delivery in quezon city, makati, manila and all over Metro manila. We are proud to offer beautiful hand-arranged bouquets, fast and reliable delivery. 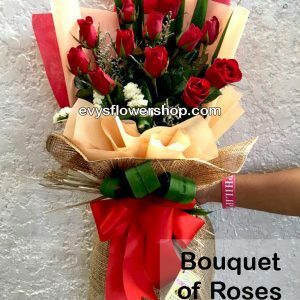 Our fresh flowers are delivered in a bouquet, vase, basket and standee. Send Fresh Flowers for Every Occasion. You can buy cheerful birthday blooms, thoughtful Mother's Day flowers , romantic Valentine's Day bouquets and more. We offer a large selection for sympathy and funeral. With a huge variety of everyday arrangements, floral baskets and gourmet fruit baskets - you'll be sure to find the perfect gift for anyone on your list. You can shop flowers by type – does your recipient love Roses, Spring flowers, Carnations, Gerbera, Sunflower, Tulips, Lilies or Imported roses? You can shop by occasion - Birthday, Anniversary, Wedding, Valentines Day, Mother's Day. Positive SSL Wthr it be Birthdays, Anniversaries, Valentine's day or if u are just inlove and you would want to make ur special someone feel like everyday is special. 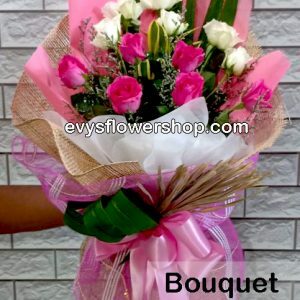 Say it with a flower by Evy's flowershop. I have been a customer since the shop started oprating. Very customer oriented crew, dlivery is on time too. Should i have a frnd or relative that needs to be cheered up, i always end up buying them a flower at Evy's..With all of my experiences with Evy's I ALWAYS GET SERVICE THAT I PAID FOR ❤❤❤❤ Outstanding customer service... Did the whole order through FB Messenger, made it easy during our time of sorrow.... ❤❤❤❤ What more can I ask for? My special requests have been granted by Evy's Flower Shop. I am very satisfied with their designs and service. The FB chat support was efficient as well. ❤❤❤❤ Thank you for the fast and efficient service!!!! Highly recommended!!!!! The arrangement is so beautiful ❤❤❤❤Thanks again!!!!! !